Last weekend, I spent a few wonderful hours with my good friend Alison and Omaira. We cooked, and ate, and I baked a chiffon cake for dessert! We had rendang and nasi ketupat and Omaira made wonderful pakoras. I used the recipe from the ever trusty cookbook Okashi by Keiko Ishida. You can see a picture of it here. 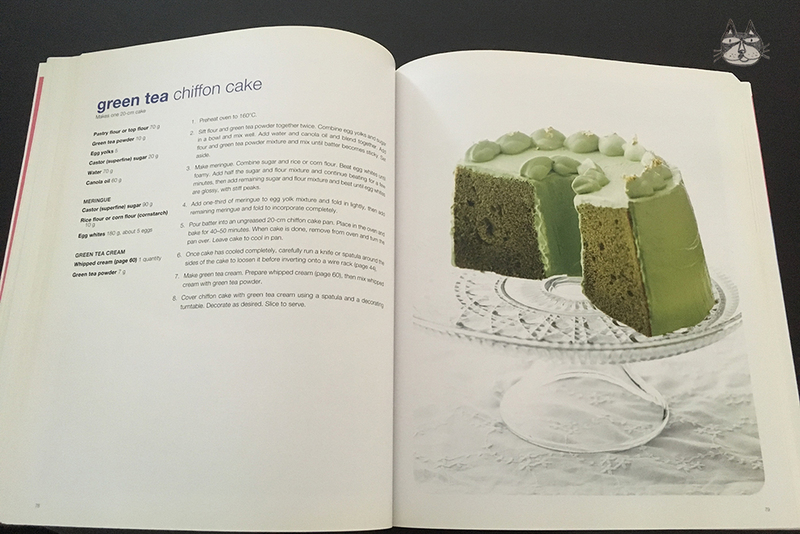 I changed the recipe for the cream that I used to decorate the cake – I adapted it from another recipe that I found in the same book that uses gelatin. I decided to use that so it’ll last longer in this late summer heat. Doesn’t it look so pretty? I have to say that she made a much better job at decorating the cake than I did. I suppose I need to either start practicing at home or sign up for a baking and decorating class one of these days. 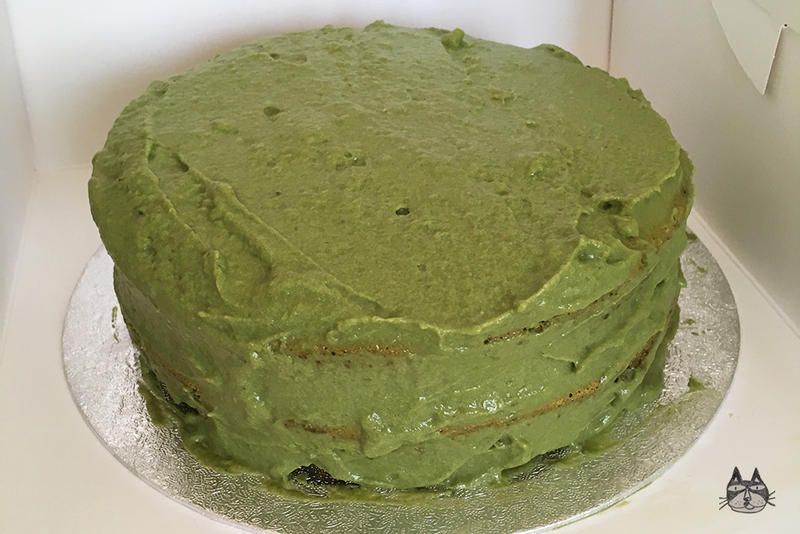 This cake does take time, and the colour is weird (green! 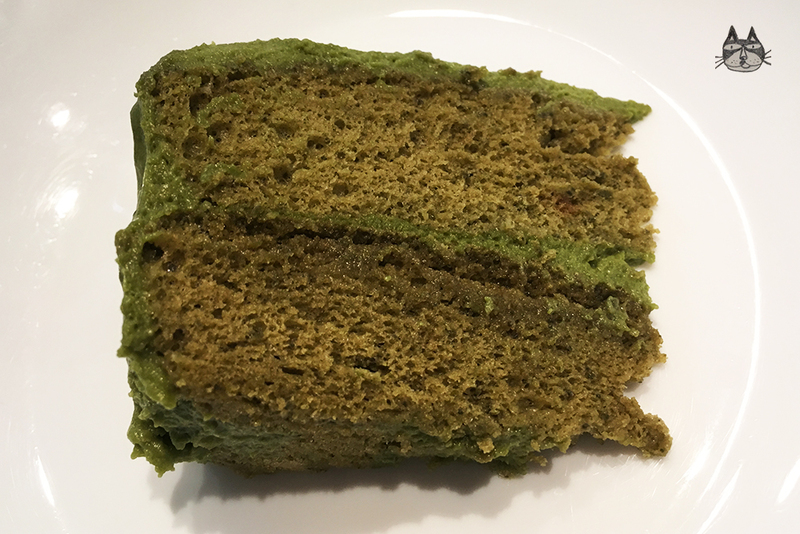 ), but if you love green tea like I do, this is a fluffy and airy cake that just melts in your mouth! You can use simple baking tin (cake) tin for this recipe. Chiffon cakes usually needs a chiffon cake tin (it has a hole in the centre) because it helps with cooking the cake evenly. I used 2 small disposable cake tins here, and it turned out fine. Remember to line the bottom of the cake tin ONLY. Do not line or grease the sides of the tin. Preheat the oven to 160 degrees C. Prepare the baking tins too – only line the bottom of the cake tin (if you are not using a special chiffon cake tin). Start on the cake batter. 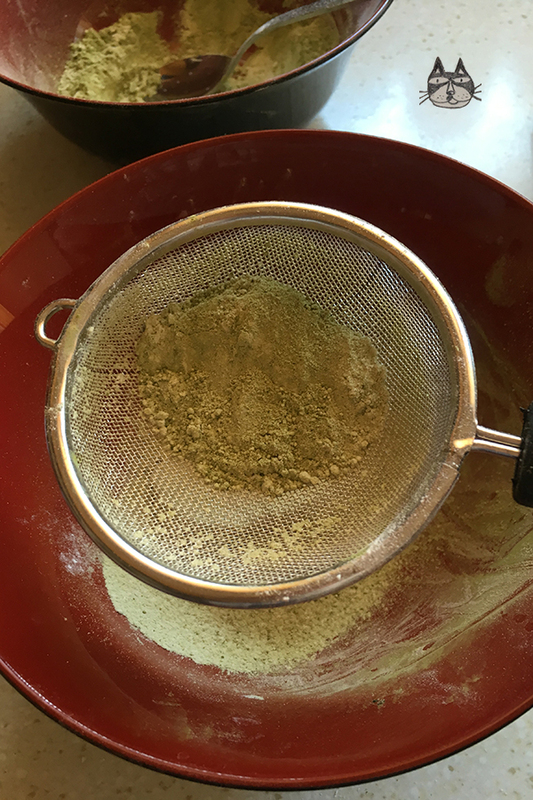 Sift the flour and green tea powder together, twice. 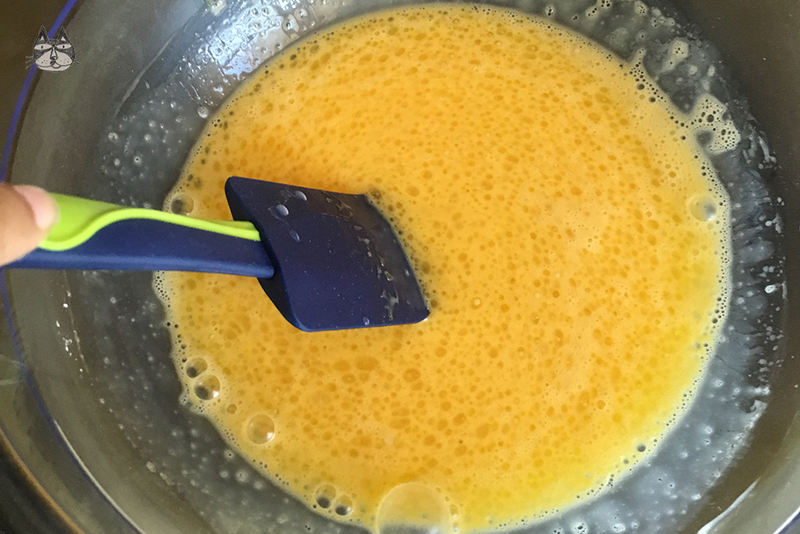 Combine egg yolks and sugar together and mix well. Add water and oil and blend well with a spatula. 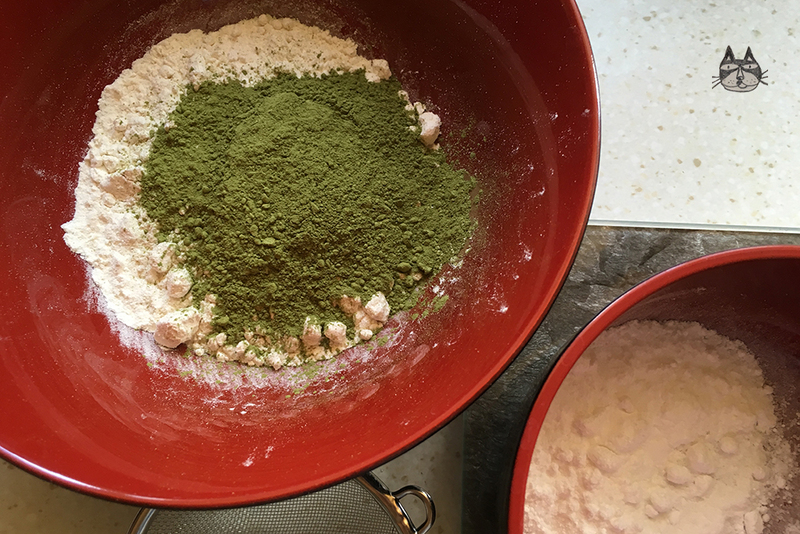 Add the flour and green tea powder mix, and mix together until batter becomes sticky. Set aside. Make the meringue. Combine sugar and the rice flour. Beat the egg whites until foamy. 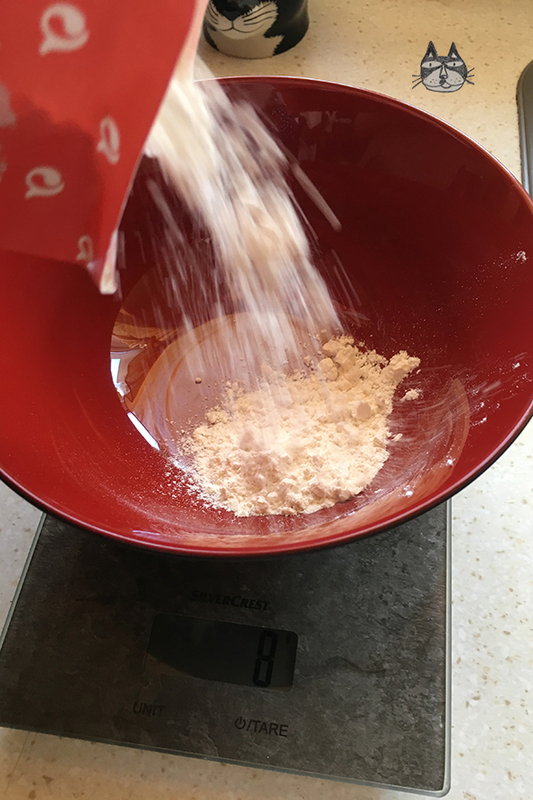 Add half of the sugar and flour mixture and continue beating for a few minutes. Then add the remaining sugar and flour mixture and beat until egg whites are glossy, with stiff peaks. Add one-third of the meringue to the cake batter, and fold in lightly. Then add the remaining meringue and fold to incorporate completely. Pour batter into the baking pan/tin, and place in the bottom rung of the oven to bake for 35-40 minutes. When the cake is done, take it out of the oven and test with a toothpick in the center of the cake. If it comes out clean, you can rest assured that it’s ready. Turn the baking tin/pan over a wire rack and leave to cool completely. Carefully run a knife or spatula around the sides of the cake to loosen it before inverting it onto a wire cooling rack. Remove the baking paper from the bottom (now top of the cake). 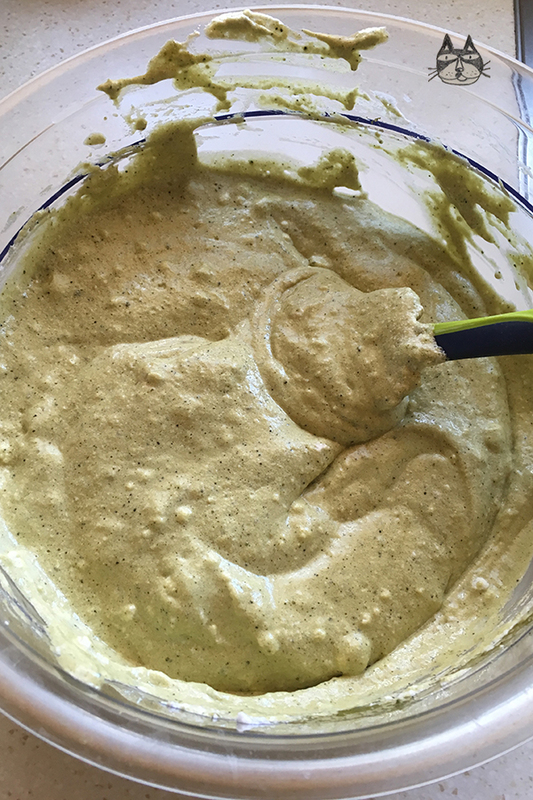 Make the green tea cream. 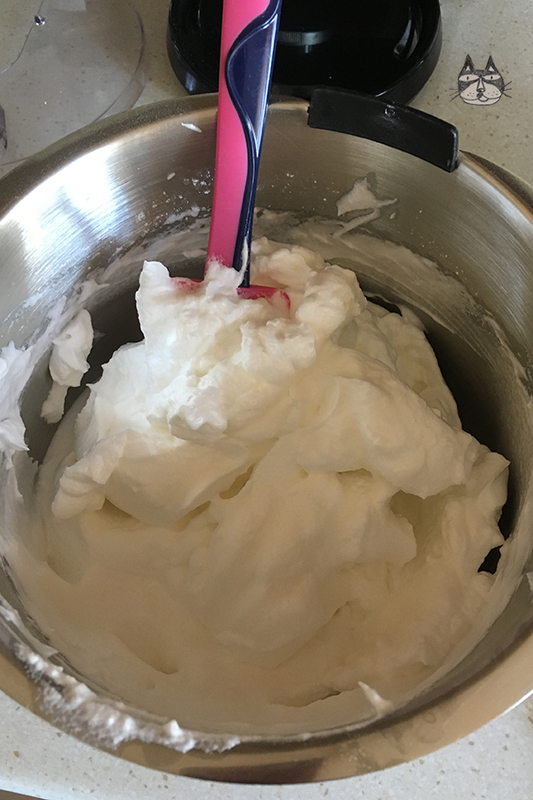 Whip cream until stiff peaks form. Set aside. 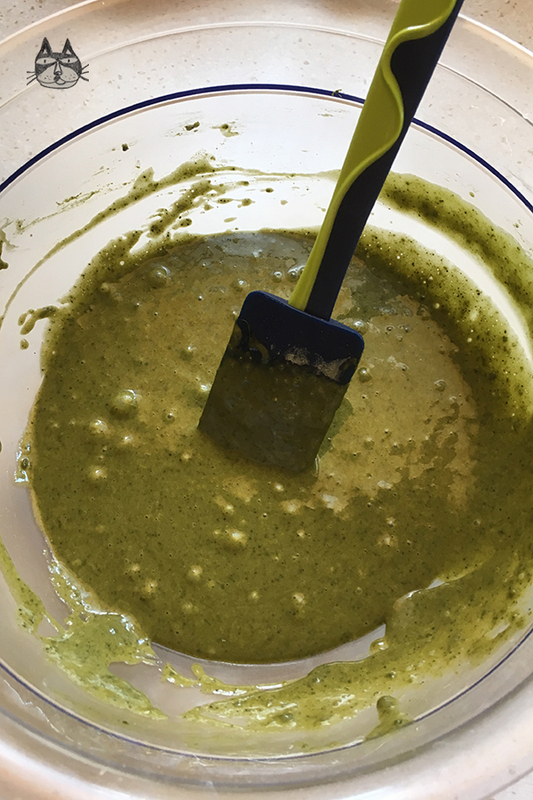 Place milk, sugar and green tea powder (matcha) into a saucepan and bring to a slight boil. Add the softened gelatin sheets and mix well. Leave the mixture to cool. When the mixture is cool to the touch, add to the whipped cream and fold until incorporated. Decorate the cake with the cream as you wish.